NEW YORK (WABC) -- In a new trend, fans of reality TV are watching shows like "The Bachelor" with more passion than ever before. 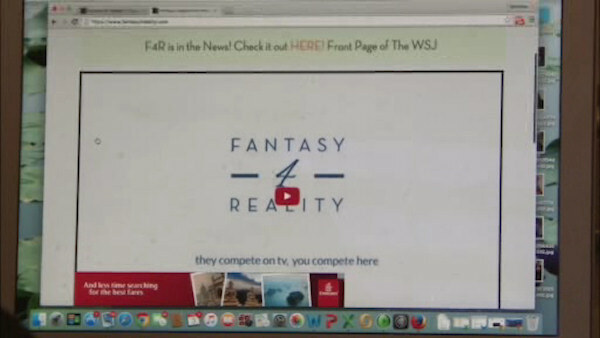 Fantasy 4 Reality is one website that lets friends form fantasy teams made up of show contestants. A team earns points when its characters do something a reality show character typically does. For instance, in Monday night's episode, when Lauren B. cried, that earned some teams 10 points. "You get points for the most dramatic stuff that goes on or the rarest, so if you can somehow figure out who is the troublemaker that could be the way to go," said Matthew Gray, the website's founder and CEO. This year people can play the Oscars, picking nominees for their teams and getting points, for instance, when a winner cries or gets the musical cut-off. Any betting on the results takes place privately.